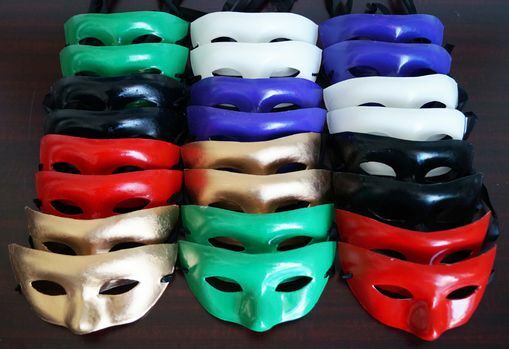 This Venetian mask party pack is hand made and painted assorted colors. Mask is made of paper mache. All masks come with black ribbon ties. Color of masks are gold, red, green, purple, white, and black.